Improving homes with superior quality and craftsmanship that makes our customers proud is MasterPro’s #1 objective. 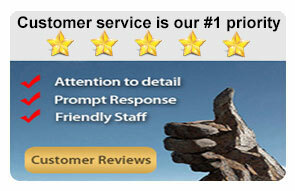 We are totally focused on customer satisfaction. This dedication, along with a company commitment to successful business practices, has established MasterPro Roofing and Exteriors as one of Akron and Cleveland’s premier home improvement companies. We’re a family-owned company with 25 years of experience improving homes throughout Cleveland and Akron. 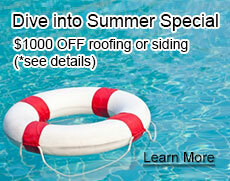 We tackle every roofing project professionally, with a complete, easy-to-understand written estimate. 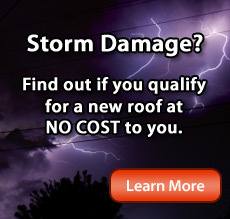 We are insurance experts: we inspect your home for storm damage and negotiate with your insurance company for you. 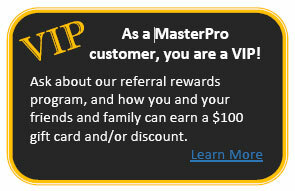 Everyone working on a MasterPro job site is fully trained and certified. We care about your home as if it were our own and keep you informed every step of the way. We won’t finish until you are 100% satisfied. Quality is Extremely Important – And We Offer Very Affordable Pricing Too! Although MasterPro strives to keep our prices very affordable for our customers, price should not be the only consideration when choosing from Cleveland roofers. A poor contractor can compensate for a low bid with low-quality materials and subpar workmanship, while the slightly higher charge of a quality contractor can buy you brand-name materials, excellent workmanship and timely service. MasterPro works hard to bring together the best of both worlds: competitive pricing, the best products and exceptional customer service. When severe storms cause damage that threatens your home and possessions, ours should be the first number you call. Our Akron roofers will work tirelessly to restore your home to its original condition, and ensure every part of your insurance claim is properly documented and submitted – so you get the money you need. MasterPro Roofing and Exteriors can also recommend the most energy-efficient options to protect against Northeast Ohio’s variable weather, along with complete installation service by skilled industry professionals. MasterPro Roofing and Exteriors would be pleased to provide you with a comprehensive written estimate for roofing, siding or replacement windows. Call MasterPro today at (866) 977-3808 to get started on your home improvement project!